If you want your car to be in top shape, you have to good care of its transmission system. 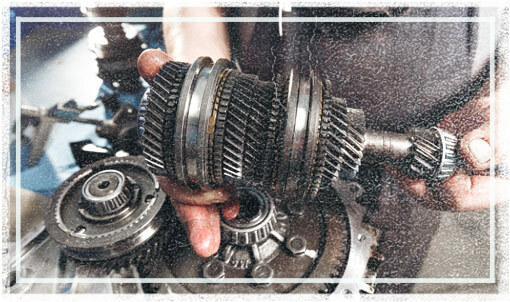 Therefore, when your transmission begins to fail, you must get it repaired as quickly as possible. At The Hamburg Garage, we specialize in providing repairs for all types of transmissions, including automatic, semi-automatic and manual models. The main goal of The Hamburg Garage is to provide customers with affordable and reliable transmission repair service they deserve. The Hamburg Garage's certified technicians in Whitmore Lake, pledge to work as long as needed to get your transmission running once more, regardless of how damaged it might be. Moreover, if our technicians determine that your transmission cannot be fixed, they'll replace it with a new one in a timely manner. No job is too big or too small for our auto repair garage. We take every job seriously and we won't stop until we've fixed the issue that has caused you concern. If you've noticed, as of late, that there might be something wrong with your transmission, don't waste any more time, just pay us a visit. Our mechanics can help you with that and any other auto repair problem, you might have. Our skilled technicians will repair your transmission before the damage gets even worse. Call The Hamburg Garage at (810) 206-1995 today and schedule your appointment for a transmission repair service, performed by one of our transmission specialists.